The Day of Atonement – Yom Kippur foreshadows the Second Coming of Jesus when He will return to earth. The Jewish remnant will “look upon Him whom they have pierced,” repent of their sins, and receive Him as their Messiah (Zechariah 12:10 and Romans 11:1-6, 25-36). It is the day that Jesus is revealed as the High Priest after the order of Melchizedek (Hebrews 5:10 & 6:20). The restoration of Israel is celebrated on the Day of Atonement, and it is the day that the world will be judged. The Day of Atonement was a day for confession (Leviticus 23:27). It was considered the highest of the holy days. It is the day to atone from all our many sins. The two great atonements for the faithful gentiles and for the faithful of Israel. Kippurim can be read as Ke-Purim, a day like Purim (as in the book of Esther), which is a celebration of deliverance. The Day of Atonement was the only day when the High Priest could enter the Holy of Holies and call upon the most Holy Name of God, (spelled יהוה in Hebrew) to offer the blood in atonement for the sins of the people. God’s Name is considered too holy to be pronounced otherwise. So He is referred to or called Elohim (a generic word for God), Adonai (Lord) or Ha-Shem (the Name). Even when reading the tetragrammaton (the four lettered Name of God) from the Torah in the Synagogue, the reader will substitute the word Adonai. In our English translation of Scripture, everywhere that you find the word LORD (written in small caps like this), it is where the original Hebrew script shows the tetragrammaton (יהוה). The Day of Atonement was the climax of the Days of Awe (Yamim Nora’im), the ten day period between the Feast of Trumpets and the Day of Atonement. During the Days of Awe, people were encouraged to consider their sins and repent. According to Jewish tradition, the names of the righteous were written in the Lord’s Book of Life at the Feast of Trumpets, and the wicked were written in the Book of Death. During the Days of Awe, people were given time to repent before it was too late. Tabernacles – Sukkot is a foreshadow of the Millennial Reign of Jesus over the earth, in which He will once again “tabernacle” with His people (Ezekiel 37:26 & Micah 4:1-7), and the whole world will come every year to worship Him (Zechariah 14:16-17). Tabernacles is also called the Feast of In-Gathering, celebrating the harvest. Tabernacles is seven days long, but an extra day is added to celebrate the end of the agricultural year. Every man, woman, and child was expected to come to the Temple in Jerusalem and celebrate the Feast of Tabernacles. During the Millennial Reign of Jesus, we will all be expected to come to Jerusalem to celebrate the Feast of Tabernacles, too (Zechariah 14:16-17). Since we will be celebrating the Lord’s feast days during the Millennium, shouldn’t Christian believers in Messiah begin to do so now? 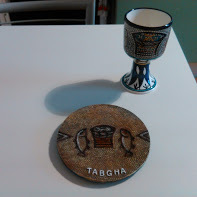 I began celebrating the Feast of Tabernacles quite coincidentally—or at least that’s how it would appear. The reality is that there is no coincidence, only God-incidence. I was going on my first prayer trip with Operation Capitals of Europe (OCE). We usually choose two or three geographically close capitals to visit and pray for. On this trip we were supposed to pray in Berlin, Warsaw, and Prague. Berlin was canceled at the last minute because of a miscommunication (this was another God-incidence that I may write about later). But since I had already bought non-refundable tickets to Berlin, I went to Berlin. There I met a couple of German intercessors who were also coming with OCE. Between Berlin and Warsaw, we were to meet up with the rest of the team in Kalisz, Poland. So we took a train to Kalisz and found ourselves as members of the French worship team at the Feast of Tabernacles. The church in Kalisz hosts worship teams from all over Europe, and the entire seven days of the feast is celebrated with 24 hour worship. They do this by dividing the days into two hour time slots. So they will have two hours of worship in Polish, then two hours in Russian, then two in English, then Czech, then French, etc. The best part is the tangible presence of God, who shows up in group meetings, and also in very intimately personal ways. I was hooked, and have returned to the Feast of Tabernacles every year since that first time. But this year, I knew in my spirit that I wasn’t supposed to go to Poland for Tabernacles. I didn’t feel saddened by this, as I would have expected. I just waited to see what God was going to do. And what He did was even better than Poland. One day I mentioned rather flippantly to Nina (my best friend) that instead of going to Poland, maybe I would go to Israel for the Feast of Tabernacles. She jumped all over that, and said, “Yes! Let’s go to Israel!” Then I said, “If we go to Israel, we should also invite Marta (Nina’s sister) and Pastor Fabio (Marta’s husband), and bring Joshua (Nina’s son), too.” She burst into tears of joy. When I called Pastor Fabio and invited him and Marta, he also burst into tears of joy. All these tears made me cry, too. So we all got together and made the arrangements. 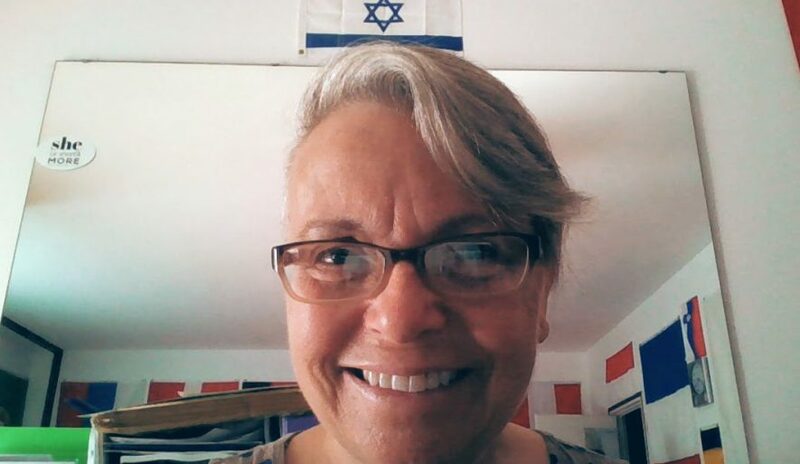 I had gone to Israel for the first time a year ago in March. That was with a tour, and it was very informative and interesting. But we were so rushed around that I have never been able to process the whole thing. (Well, partly it was being rushed around, and partly it was the overwhelming emotions of the place.) I process things by writing about them (thus, the real purpose of keeping a blog). So I had made myself a promise never again to go to Israel on a tour. This time I want to take my time, go only to the places that interest me, and give myself time to write and reflect. The others are all in agreement on this. Pastor Fabio is the only other one who has ever been to Israel before, so between the two of us, we know the places that are really worth seeing, and others that can be left to another time. Now, if Jesus comes to Rapture us at the Feast of Trumpets this year, then our trip will be put off for seven years. But either way: in Israel or in Heaven, this year’s Feast of Tabernacles will be unforgettable! God is good! Jesus appears in the air at the Rapture, but He physically returns to touch the earth at His Second Coming (Zechariah 14:4). I am registered with an organization called A Candle in the Window Christian hospitality network. This year, as I have focused on hospitality, I have hosted a few families through ACW. This has been lots of fun. Before I was hosting only missionaries, pastors, and personal friends. But through ACW, I have also hosted regular folks, mostly from back home. It turns out that this is a wonderful way of raising awareness about Europe as a mission field. There is an extra and unexpected personal bonus for me: I get to play with their kids. One family came through, and their youngest, Joe Jr., was six and three quarters. Joe Jr. loves to play Uno. I don’t have an Uno deck, but I have something better: Solo. 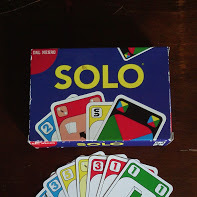 Solo is played by the same basic rules as Uno, except that you say Solo instead of Uno when you’ve played your next to last card. Solo also has a couple of special cards that Uno doesn’t have. They are cards in which either you trade hands with another player or everybody passes their whole hand to the player next to them. That makes Solo a much more challenging game. Joe Jr. quickly learned the special cards, and became a Solo fanatic. His big sisters and parents quickly tired of the game, so Joe Jr. played with the only person willing to play him: me. And we played. And we played. And we played. His parents went out and bought Joe Jr. his own Solo deck, and I’m sure he’s still driving them crazy with it. Another family came, and they needed to go to a part of town that I’m not very familiar with. I accompanied them to the general area, then I whipped out my phone, pulled up the navigation software, put the address in, and handed the phone to Sean, their thirteen year old son. The mother looked at me in horror, sure that I had lost my mind. But Sean led us straight to the place with no problems. And of course, I got my phone back, intact. 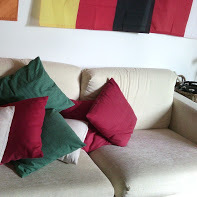 My big sofa has a dozen throw pillows in the three colors of the Italian flag. I taught three year old Chelsea and her two year old sister, Sadie, the important skill of couch fort building. Their parents entered the living room, surprised to see the girls playing quietly, with me encouraging this activity. I guess not every host family likes having their couch pillows tossed about. But really, what else are they for, but couch forts, tossing at someone, and hiding under? Oh yeah, I guess they’re also good for resting your head and/or back against. 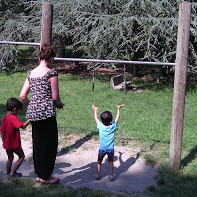 One family was keeping a blog of their travels in Europe. Everywhere they went, they took their plastic pink flamingo. The flamingo, aptly named Floyd, was featured is pictures of iconic places, like the Eiffel Tower, Buckingham Palace, on a gondola, etc. 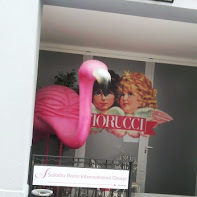 The week before they arrived, I found a six foot tall pink flamingo in a courtyard near my building. I knew that this was more than a coincidence. So when they arrived, I told Elliot, their twelve year old son about it because Floyd was riding around Europe in his backpack. Of course, he wanted to get a picture of Floyd with a giant twin. I have been invited to come along as the family tours the city; included in family Bible and prayer time; taken out to supper with the family; and kissed good night. People have asked me if I ever get lonely. I do miss my grandchildren, and for me, this is the cost of following Jesus. But because I have opened my home and my life to others, I am rewarded in wonderful ways. The people who have visited me have almost all remained friends. My world has expanded to include many, many people—and their children. I am very richly blessed! God is good! I wrote in my last post Hebrew Roots Part Seven – God’s Prophetic Spring Feasts about the four spring feasts which were fulfilled at Messiah’s first coming. There are three fall feasts, which have not yet seen their fulfillment, but will very soon when Jesus, the Messiah, returns. They are the Feast of Trumpets, the Day of Atonement, and the Feast of Tabernacles. The interval of time between Pentecost and the fall feasts represents the Church Age, in which we are currently living. Trumpets – Rosh Hoshana, which means the Head of the Year for its civil calendar meaning. 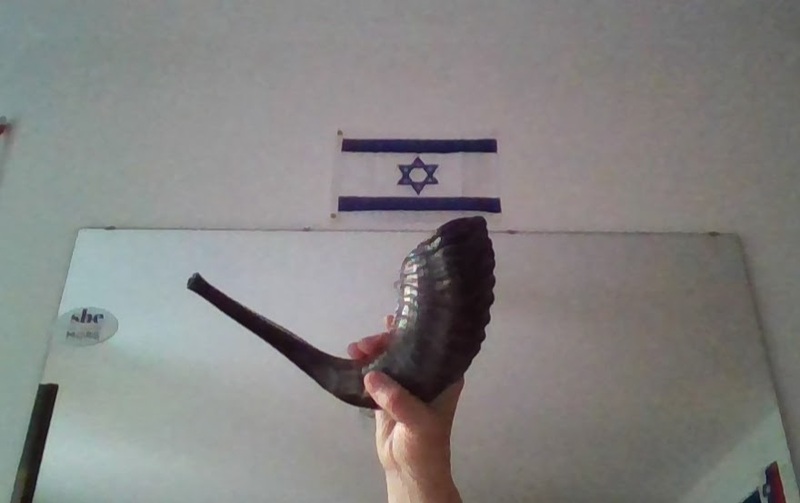 By the religious Jews, this is called Yom Teru‘ah, The Day of Blowing Trumpets (literally shofar, which is a ram’s horn). The Feast of Trumpets has many other names as well. It is called Yom HaZikaron, The Day of Remembrance. We celebrate the Feast of Trumpets to remember of the great day of Messiah’s return—yes, even the Jews believe this. The Feast of Trumpets prophetically foreshadows the Rapture of the Church. The priests used to blow the trumpet to call the field workers to stop their harvesting and come into the Temple. When the Heavenly trumpet sounds (as in 1 Corinthians 15:51-53, below), all the faithful who are working in the Lord’s harvest fields will stop their harvesting and com into the Heavenly Temple. For the Lord Himself will come down from Heaven, with a loud command, with the voice of the archangel and with the Trumpet call of God, and the dead in Christ will rise first. After that, we who are still alive and are left will be caught up together with them in the clouds to meet the Lord in the air. And so we will be with the Lord forever, (1 Thessalonians 4:16-17, emphasis mine). Listen, I tell you a mystery: We will not all sleep, but we will all be changed—in a flash, in the twinkling of an eye, at the last trumpet. For the trumpet will sound, the dead will be raised imperishable, and we will be changed. For the perishable must clothe itself with the imperishable, and the mortal with immortality, (1 Corinthians 15:51-53, emphasis mine). The Feast of Trumpets is the most likely date for the Rapture of the Church. The spring feasts were all fulfilled on the precise day they were celebrated, so there’s no reason to think that the events foreshadowed by the fall feasts wouldn’t also happen on the precise day they are celebrated. The Rapture is always associated in Scripture with the blowing of a loud trumpet. Now, brothers and sisters, about times and dates we do not need to write to you, for you know very well that the day of the Lord will come like a thief in the night. While people are saying, “Peace and safety,” destruction will come on them suddenly, as labor pains on a pregnant woman, and they will not escape. But you, brothers and sisters, are not in darkness so that this day should surprise you like a thief, (1Thessalonians 5:1-4, emphasis mine). The day of the Lord comes as a thief in the night only for those who are walking in darkness. But God has given us an understanding of the times and seasons. No one knows the day or hour, not even the angels in Heaven, nor the Son, but only the Father. . . . Therefore keep watch, because you do not know on what day your Lord will come, (Matthew 24:36, 42, emphasis mine). See, even though we can’t know the day or the hour (or the year), we do know the season and we do know within a two day time frame. Therefore, that is not date setting, but keeping watch, which is why Jesus told us to do. Allow me a moment to rant: the Pre-Tribulation Rapture deniers have all sorts of criticisms for Pre-Tribbers. The doctrine of imminence requires us to be ready and to encourage others to be ready, too. I can’t imagine the Lord scolding us for being ready for His return—especially after He told us to keep watch. Even if we’re wrong (and we’re not), we are living in that state of readiness and keeping ourselves holy, as He instructed us to do. Furthermore, the Feast of Trumpets is also known as the Wedding of the Messiah. It is the consummation of the marriage when the Bridegroom takes us to His side to be with Him forever. When a Jewish Bride has accepted the Bridegroom’s proposal of marriage, he says to his bride “I go and prepare a place for you, and I will come back and take you to be with Me.” And that is exactly what Jesus told His disciples (John 14:3). Some of them were married men, and had spoken those words, themselves. But all of them understood that this was a marriage proposal. More than that, it was a marriage contract, legally binding. The Bridegroom returns to his father’s house to build a room for the two of them. This can be a year or more in which they do not see each other at all. Only when the father approves the construction can the son go and get his bride. Then, together with a couple of close friends, the Bridegroom goes to get the Bride, which is usually at night. In the meantime, she has been preparing herself for her wedding night. She has to be ready whenever he comes, day or night, together with her closest friends. The parable of the Ten Virgins (Matthew 25) suddenly makes sense, doesn’t it? Especially in the context of the preceding chapter leading up to that parable. Jesus was warning us to be ready for the day of the Rapture. Go, My people, enter your rooms and shut the doors behind you; hide yourselves for a little while until His wrath has passed by. See, the Lord is coming out of His dwelling to punish the people of the earth for their sins. The earth will disclose the blood shed on it; the earth will conceal its slain no longer, (Isaiah 26:20-21, emphasis mine). There is so much evidence for a Pre-Tribulation Rapture that it would be foolish not to be ready. Finally, the Feast of Trumpets is also called Yom HaDin, the Day of Judgment. The specific judgment that occurs on this day (the day of the Rapture) will be the Bema Seat Judgment. This is not judgment for salvation, but rather when Jesus judges our works and gives us our crowns. This was also the day when kings were coronated. Remember, we have been made a Kingdom of Kings and Priests (Revelation 1:6 & 5:10). This is the day in which we will be given our crowns for those works that survive the testing of fire (1 Corinthians 3:12-14). The ten days between Trumpets the next feast, The Day of Atonement, are called the Days of Awe. It is a time for introspection and considering the sins of the previous year. This interval is also a prophetic foreshadow. Those Christians who were not watching and so were not ready when the Heavenly Trumpet sounded will know that they’ve missed the mark. They will reflect on the sin in their lives—particularly unbelief. Many will repent, and most of those will be beheaded for their faith in the Tribulation period. I believe that most of these will be the super evangelists of the early days of the Tribulation. Stay tuned for the rest of the fall feasts, coming soon! God is good! Passover – Called Pesach in Hebrew, Passover was a foreshadowing of the Messiah as our Passover lamb who would shed His blood for us: “Christ, our Passover lamb, has been sacrificed. Therefore let us keep the Festival,” (1 Corinthians 5:7). Jesus was crucified on the day of preparation for the Passover at the very same hour that the lambs were being slaughtered for the Passover meal that evening (John 19:14). Unleavened Bread – Chag HaMotzi is the festival of Unleavened Bread. After giving the house a thorough cleaning (perhaps where the idea of spring cleaning comes from), the wife goes through the whole house with a feather, dusting away every trace of leaven. This was precisely when the Messiah’s body was put in the grave. Leaven is often used as a symbol in the Bible for sin (Matthew 13:33, 16:6-12; Mark 8:15-21; Luke 12:1-3, 13:20-21; 1 Corinthians 5:6-8; & Galatians 5:9). Bruised (or at least it looks bruised) – “He was wounded for our transgressions, He was bruised for our iniquities; the chastisement for our peace was upon Him, and by His stripes we are healed,” (Isaiah 53:5, emphasis mine). Striped – “Who Himself bore our sins in His own body on the tree, that we, having died to sins, might live for righteousness—by whose stripes you were healed,” (1 Peter 2:24, emphasis mine). Pierced – “They will look on Me, the One they have pierced, and they will mourn for Him as one mourns for an only child, and grieve bitterly for Him as one grieves for a firstborn son,” (Zechariah 12:10, emphasis mine). Pure – “God made Him who had no sin to be sin for us, so that in Him we might become the righteousness of God,” (2 Corinthians 5:21, emphasis mine). 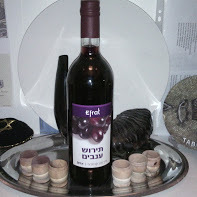 First Fruits – Reshit Katzir celebrates the fertility of the Promised Land. They would go into their fields and tie a red cord around the part of the crop that ripens first. It is later cut, taken to the Temple, and given to the priests as a wave offering. First Fruits foreshadowed the Messiah’s resurrection as the first fruits of the righteous dead. Jesus was resurrected on this very day, which is why Paul says, “Christ has indeed been raised from the dead, the first fruits of those who have fallen asleep,” (1 Corinthians 15:20, emphasis mine). Passover starts the evening of 14 Nisan and continues for seven days. 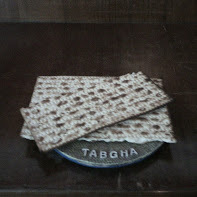 Unleavened Bread starts 15 Nisan (the day after Passover starts) and continues for the week of Passover. First Fruits is celebrated on 16 Nisan, the day after Unleavened Bread starts. So these three feasts are one right after the other—14, 15, and 16 Nisan. Pentecost – Shavu‘ot, also called the Feast of Weeks comes fifty days after the beginning of the Feast of Unleavened Bread. Pentecost foreshadowed the great harvest of souls and the gift of the Holy Spirit (Acts 2). The Church was actually established on this day when God poured out His Holy Spirit and 3,000 Jews responded to Peter’s great sermon and his first proclamation of the Good News of Jesus Christ. Two loaves of leavened bread were offered at the Temple, symbolizing the Hebrews and the Christians grafted into Israel. Then there is a long interval between these spring feasts and the fall feasts. In my next post I will discuss the fall feasts. If you liked the revelations of the spring feasts, just wait until you read about the fall feasts to come. Jesus is coming back soon! The Spirit and the Bride say, “Come!” Maranantha! God is good! “Fallen asleep” is Paul’s way of saying that they died, but emphasizing that death is a temporary state. Three, Four, Five Sheets and More to the Wind! This year the Lord has had me stay home more to focus on the hospitality aspect of my ministry of missionary encouragement and support. It makes sense, too. With the Expo here, lots of people are coming to Milan from all over the world. As I wrote in Revival is Coming!, this is a one-of-a-kind opportunity to share the Good News of Jesus in English with those who have come for the Expo. This week I had a large group come from the US. Usually, I go to the airport or train station and meet my guests there, but since this group was renting a van, it didn’t make sense for me to go to the airport to meet them. The morning of their arrival, their beds and towels were ready. Then the Holy Spirit told me that they would arrive tired, and He had me go shopping for cheeses, olives, and fruits so that I could offer them an Italian-style healthy snack. So I pulled out the leaves of my large dining table, transforming it from 6 to 12 person size, put a colorful tablecloth on it, and set about slicing cheese and fruit, arranging platters, and setting out a buffet-style feast. Just as I got it all set out, they arrived, and of course the Holy Spirit was right about them being tired. Most of them had not been able to sleep on the plane—and most of them are my age and up, so sleep is all the more necessary and appreciated. They gratefully dug into the snack, and then they started asking me about my ministry. A few of them nodded off as I described what I do, which I didn’t take personally at all. One woman excused herself and went to take a proper nap in bed. Another woman began asking about my past, and how I came to be a missionary in Italy. The answer is that I had already been encouraging missionaries, I just didn’t know that it was ministry. After divorce, God gave me a total life makeover at age 55, and now I work for Him, living the life of my dreams. She took notes as I spoke, with the intention to pray into the details of my life and ministry, and then she and the others prayed for me. Then the group’s organizer asked if there was a park nearby, and asked if I would like to join them for prayers in the park. I took them to a little round park in the middle of a piazza just a block away from my apartment. In the park we met a man with a huge dog—or maybe it was a small horse. He told us that the dog’s name is Timoteo. I kept expecting him to get bored with us and decide to take Timoteo home. Instead, he seemed to really enjoy our company and conversation in English. He was even enjoying showing off his Bible knowledge, learned in Catholic high school. He talked with us for about 20 minutes, then we exchanged names, and we learned that his name is Paolo. Later, I pointed out to the group that he was Paul with his Timothy. Some members of the group had brought a few items from the US to bury in the soil of Italy as a prophetic act of prayer. We found a hole that had already been dug into the hard soil. The items were placed in the hole and covered over as we prayed. Then they asked me to anoint and pray over each of them. I did, and received words of prophecy for each, which they later told me were exactly perfect. I don’t remember what I said, but that’s what the gift of prophecy is like: since it wasn’t born in the brain, it doesn’t tend to stick there. As we finished up and prepared to return home, we heard music overhead. On a fifth floor balcony of the building closest to where we were standing, we saw two young guys. One had a trumpet and the other a flute. They played a brief song, and we applauded wildly, crying, “Bis! Bis!” Which means Encore! Encore! They waved at us, and played again. Then a couple of cars entering the roundabout added a couple of honks. But the strange thing is that the car horns did not sound at all like car horns—they sounded musical. I got that familiar goosebumpy feeling when God has done something supernatural for you. We looked up again, but they were gone. I said, “I think those guys were really angels. Also the ones in the cars.” Everyone agreed that it was certainly possible. Then we returned home, and soon each had gone off to their bed. 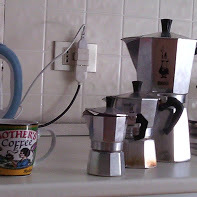 The next morning I enjoyed coffee with these, my new friends. It was nice to get a chance to get to know them better. It turns out that almost all of them are in some way artistic. They are very interested in using the arts as a vehicle for sharing Jesus. A couple of them even turned out to be writers. 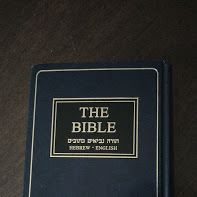 They unpacked one bag and brought me a treat from the US: Bibles in English. With the Expo, and all the English speakers it will bring from around the world, it is good to have Bibles available in English. Revival is coming! They discussed their plans for the day, ate breakfast, and then packed up and were on their way with their tummies full, their bodies showered, and looking well-rested. They will be back in a couple of weeks to spend the night with me before their return to the US. 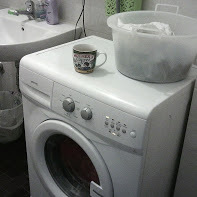 Today as I washed sheets and towels, discovering creative new ways to line dry several sets of sheets at a time, I enjoyed the grateful, happy feeling from all this. You know the feeling: that having blessed someone, you are yourself blessed. 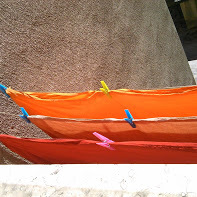 As I hung sheets in the sunshine, I remembered how I had felt just a half dozen years ago: like I had lost my identity when, after 26 years as a housewife/stay-at-home-mom, my kids were grown and gone, and my marriage of 33 years was also gone. Now, here I was, using those homemaking skills for the Kingdom of God. In fact, as a missionary I have cleaned house, cooked meals, babysat, tutored, washed dishes, driven missionaries to meetings, and done laundry—lots of laundry. And this year all the more, with the focus on hospitality. Yes, indeed, I am living the life of my dreams! God is good! Hebrew Roots Part Six – Must Christians Learn Hebrew? Let’s cut to the chase: no, Christians do not have to study and learn Hebrew. Your salvation absolutely does not depend on studying and knowing Hebrew. Those who were not good students can relax because there is no test in Heaven besides: Do you love My Son? Many of us choose to study Hebrew anyway. For me, I’ve already gone into some of that in my post Why am I Studying Hebrew? I guess for me the question is why wouldn’t you? Before moving to Italy, I studied Italian and learned everything I could about my new home, its culture, its customs, its language, etc. And in learning Italian, the language gave me clues to culture that explained eloquently and succinctly what the Italians believe is important. It was like digging for rocks and finding diamonds. I didn’t move to Italy, expecting it to conform to my American ideas of how to live. Instead I embraced Italian culture. I guess that’s why I suffered very little culture shock, and have found myself happily at home here. I’m going to be in Heaven a whole lot longer than I will be in Italy, so I am studying everything I can about Heaven: its culture, its customs, its language, etc. The vast majority of information about Heaven can be found in the Bible (although it’s comforting, don’t hang too much of your theology on Heaven is For Real and other anecdotal evidences for Heaven). But again, the language gives clues to the culture that are amazing. Don’t you want to know the culture of Heaven? Hebrew is the language of Heaven, the language in which God spoke the whole universe into existence, and the language in which God dictated the Torah (the first five books of the Bible) to Moses. And imbedded into the Bible are hidden codes, multiple layers, prophecies within prophecies, and numerical secrets. I want to learn as much as I can about all this now because there are answers hidden beneath the surface. More than that, God’s hidden face lies beneath the surface. Having looked into those eyes, I only find myself hungry for more of Him. The Bible is the most romantic and true love story that ever has been told. The King laid aside His divinity, clothed Himself in dust (that’s what the Bible says human flesh is), and came to search for His Bride. He suffered unimaginable things for the love of her and died in her place. But the story doesn’t end there. The grave couldn’t hold onto His glory, so He rose again and returned home to prepare the Bridal chamber and the wedding feast. Soon He will return to whisk His Bride away and take her home to marry her. Now, if I would study hard to learn everything I can about my new home country, what about my husband-to-be? Wouldn’t I want to know everything I can about Him? Yes! I want to learn His culture, His customs, His language, etc. Much of that can be learned by reading the Bible. Much more by spending time with Him. I am a woman deeply in love with my Savior, my Maker, my Bridegroom, my Best Friend, my King. He is a mystery that invites, yes even welcomes investigation. Here is His invitation: “Call to Me and I will answer you and tell you great and unsearchable things you do not know,” (Jeremiah 33:3). Learning the Hebrew language is the super-powerful search engine to search Him out. And the more I know Him, the more I love Him. He never disappoints. God is good! Hebrew Roots Part Five – Do Christians Have to Eat Kosher? For many people when you mention Hebrew Roots they get very defensive about their favorite foods. “Don’t ask me to give up my bacon cheeseburgers!” is what they’re often thinking. For people in North Carolina (my US home base) this means never going to another barbecue (AKA pig-pickin’) again. Food is probably the hardest thing for most people to surrender because food is so basic to human survival, but it’s also something that is extremely pleasurable. Does God really care what we eat? I believe that He does, but let’s examine why. Here’s a puzzle: God gave Moses the laws of clean and unclean animals in Leviticus 11, but what about all the people who lived for the approximately 2500 years before the Law was given? Were they eating whatever they wanted? The Lord then said to Noah, “Go into the ark, you and your whole family, because I have found you righteous in this generation. Take with you seven pairs of every kind of clean animal, a male and its mate, and one pair of every kind of unclean animal, a male and its mate, and also seven pairs of every kind of bird, male and female, to keep their various kinds alive throughout the earth,” (Genesis 7:1-3, emphasis mine). 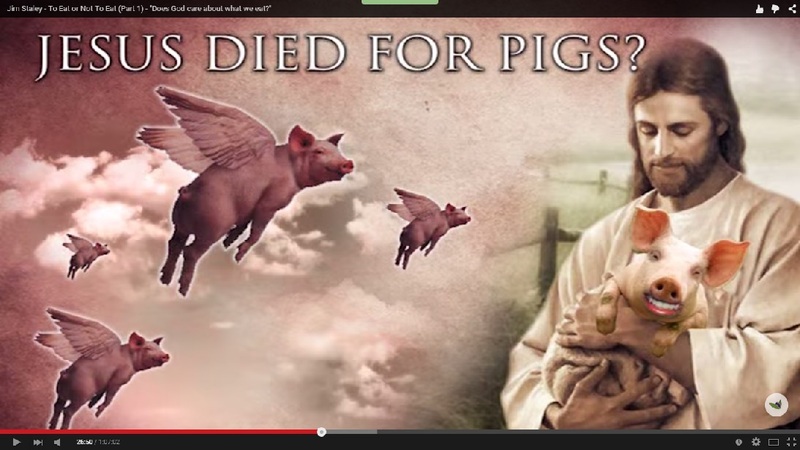 How did Noah know about clean and unclean animals 2500 years before Moses? The answer has to be that God told mankind about clean and unclean animals. Everything that lives and moves about will be food for you. Just as I gave you the green plants, I now give you everything (Genesis 9:3). Then in Leviticus, God devotes chapter eleven—the entire chapter!—to clean and unclean animals. It might seem that God is schizophrenic until we remember that He is the same yesterday, today, and forever (Hebrews 13:8), that God does not change (Malachi 3:6), and that God does not change His mind (Numbers 23:19; 1 Samuel 15:29; Psalm 15:4, 110:4; and Hebrews 7:21). So how do we account for these seeming contradictions? Here’s what I think: people knew all along that you were not supposed to eat certain animals, so after many years of thinking this way, a person is not likely to suddenly decide that he wants to kill and eat a pig, a lobster, or a buzzard any more than he’s going to suddenly get a hankering to eat dirt, mold, or a dead body. Think of animals as appliances in their function on the earth: some are food processors. They eat good things like grass and they produce good things to eat. Other animals are nature’s vacuum cleaners, pool filters, and undertakers. They eat filth, filter animal wastes from the water, and pick dead carcasses clean. Those animals produce dirt, filth, and disease. So when God told Noah “everything that lives and moves about will be food for you,” Noah knew that certain animals were still as unclean as they ever had been. He didn’t go out to barbecue buzzards any more than to butcher pigs. After the Tower of Babel, when languages divided the people and they dispersed, some of them, being rebellious (having participated in Nimrod’s rebellion), had started eating unclean animals. Some of these rebels, like Nimrod himself, were Nephilim. Nephilim were the unholy product of fallen angels and human women. And these Nephilim were most likely descended from Ham, whose line had produced both Nimrod and Canaan. And they spread among the Israelites a bad report about the land they had explored. They said, “The land we explored devours those living in it. All the people we saw there are of great size,” (emphasis mine). Notice this verse mentions both giants and people being eaten, and these giants were not just big fellas, like you see in professional sports. The Bible reports that King Og’s iron bed was 13 to 14 feet long and 6 feet wide—that’s almost as big as my first apartment. And giant skeletons have been found that were as much as 36 feet tall. A person 36 feet tall is 6 times the size of a 6 foot tall man. A normally big man needs about 3500 calories to maintain his weight. Six times that is 21,000 calories. In those days they didn’t have grocery stores or weight maintenance shakes. Somebody had to harvest or kill and butcher, and prepare all that food. A giant in those days would need someone working full-time just to prepare his food. So it’s not a stretch to imagine a hungry giant eating the people around him in a mania to consume the amount of calories needed to maintain a giant body. Likewise, it’s not a stretch to imagine that when the people dispersed after the Tower of Babel, they began to eat unclean foods as they found themselves hungry in strange territory, with only unclean foods available to them. And let’s face it, bacon is delicious. So is lobster, shrimp, and clams. Soon those foods would become a regular part of their diet. The Kosher practice of not eating meat and dairy in the same meal is a manmade law based on Exodus 23:19, 34:26; and Deuteronomy 14:21. This prohibition was because of the pagan practice of that day, in which the people would boil a suckling kid in its mother’s milk as a sacrifice to ensure a good harvest. This is also where the Kosher practice of keeping two separate sets of dishes came from. Keeping two sets of dishes and not mixing meat and dairy are manmade laws, and Jesus dealt with the issue of manmade laws when He declared that eating with unwashed hands didn’t make a person unclean (Matthew 15:1-20). 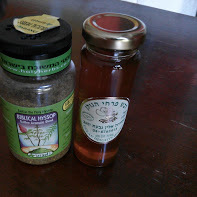 My conclusion on keeping Kosher versus eating only clean foods is that it’s a really good idea to eat only clean foods. Our Creator knows how our bodies are made, and He knows what foods are the best fuel for these bodies. But as for keeping Kosher, I believe that it is sufficient to eat only clean foods. Personally, I really like bacon, but it seems to me like a really bad idea to eat an animal that Jesus cast demons into. So I say that washing your hands before you eat is probably a really good idea. It doesn’t make you better than anybody else, as the Pharisees thought, but it will help you to stay healthy. Oh, and that cheeseburger is OK, just leave off the bacon off of mine. God is good! For a really in-depth study on the reasons to eat only clean foods, please see To Eat or Not to Eat. It seems to me that there are a lot of Christians who don’t believe in the Rapture, despite the fact that it appears throughout the New Testament and many times in types and shadows in the Old Testament. The clearest statements about the Rapture are in 1 Corinthians 15:51-53, in 1 Thessalonians 4:13-18, and is alluded to several times throughout both letters to the Thessalonians. Then there are others who believe in the Rapture, but not the Pre-Tribulation Rapture. In fact, they say that we are just looking to escape the Tribulation, which the Bible says is coming upon all the earth. Yes, I admit that I do not want to go through the Tribulation, but there’s a difference between tribulation and Tribulation. Un-capitalized tribulation is something that is inescapable in this life. In most modern translations the word used is trouble. But the seven year Tribulation in which the antichrist rules the world is something that I don’t believe that we must go through. There is an escape clause. Now, if God has provided us an escape clause, why would we not take it? I think it boils down to being very hard to grasp. The Rapture—a worldwide event in which all Christians are removed from the earth—is really hard to grasp. 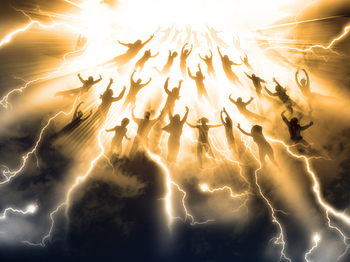 Although there are a couple of individuals (Enoch and Elijah) who were raptured, global Rapture has never happened before, so it’s really hard to imagine. But I don’t believe that all Christians worldwide will be taken in the Rapture. In the parable of the Ten Virgins (Matthew 25:1-13) there are five who are wise and five who are foolish. The wise virgins have brought extra oil for their lamps and the foolish have not. Oil represents the anointing—the Holy Spirit. Those without the anointing or those who are not watchful for the sudden return of the Lord will be left. In the parable, all ten are virgins, in other words, all ten are believers. All ten have lamps. And all ten have fallen asleep waiting. But the wise ones, even though asleep, came prepared with oil—the anointing/presence of the Holy Spirit. Again and again Jesus warns us to watch and to look up. Stay connected to the Vine (John 15:1-17) through prayer. And watching doesn’t mean sitting around twiddling our thumbs until the Rapture. Jesus said, “Occupy till I come,” (Luke 19:13, KJV). In other words, keep at the task that God has given you until He returns to rapture you. The problem for many believers is that they lose their focus while they “occupy,” and the ministry becomes the focus. No, while we stay busy with the task that God has given us, our focus must always be on the Lord, on following His leading, and not on the ministry. I personally have hurt people, precious fellow servants of God, when my focus subtly shifted to my ministry. Thank God we serve a Master who is God of a Second Chance! The Mid-Trib, Pre-Wrath, and Post-Tribbers all point to us and say that we’re just looking for an escape. Well, why not, when an escape is offered? If you were in a burning house, wouldn’t you look for an escape before the roof collapses? And if a firefighter appeared at your window, would you refuse to leave the house and go with him? Even if we’re wrong about the Pre-Tribulation Rapture, I don’t think God is going to chastise us for looking for Jesus’ Return in obedience to the Scriptures. I don’t imagine that God is going to punish us for encouraging people to live right as though Jesus could return at any time, even if we’re wrong. So, really, either way, Pre-Tribulation belief is not a bad thing. He replied, “Where there is a dead body, there the vultures will gather,” (Luke 17:22-37, emphasis mine). I’ve given you that whole passage so that you can see that the context is the Rapture. When Jesus says, “Remember Lot’s wife,” that is in the context of not returning for any of your possessions. I was meditating on this passage today, and I realized that when the Trumpet (Shofar) sounds for the Rapture, we should not worry about our possessions. I believe that the possessions Jesus is referring to is our friends and relatives. Lot’s wife turned to look at Sodom because she had daughters and sons-in-law who had refused to leave town with them. And in the end, the angels had to grab their hands and take them out by force (there’s a picture of the Rapture!). It will be like that for some of us. We will have to focus on where we’re going, and let those who choose to stay behind, stay. But we have the advantage in that we know ahead of time what will happen. We can warn our “possessions.” If they accept our word, then they will prepare themselves to come with us. If they do not, then it is their choice to stay. God doesn’t violate free will, and neither can we. The best thing that we can do for those who choose to stay behind is to 1) speak the truth in love, 2) demonstrate God’s love by our lives, and 3) pray for them. I see little value in a Lot’s wife sacrifice. But if I, as the Bride of Christ, intercede in Heaven for my loved ones that have chosen to stay behind, then my Bridegroom will do His utmost for them, for my sake. Not that He wouldn’t help them out and answer our prayers before, but our example to them will be stronger because they will know what has happened when we are raptured away. Plus, they will be immune to the lie of the antichrist: that we were taken away on the mothership back to the home world to be re-educated. The antichrist will blame all the world’s evils (wars, greed, intolerance, etc.) on Christians. They will see right through that hogwash, and will know the truth. Of course, how they choose to act on that truth is up to them. But then it always was. That’s the downside of free will: that some people will choose to go to hell. They don’t have to. Hell wasn’t made for people. God made hell as a place for the rebellious angels. But people who refuse the free gift of abundant life in Heaven won’t be forced to enter Heaven and to spend eternity in God’s presence. The only other place for them is hell. It’s sad, but true. But the story of Lot gives us some hope. Lot’s married children chose to stay behind, and his wife turned to look back and was turned into a pillar of salt. But Lot’s two young daughters went with him out of Sodom in that Rapture scenario. I believe that our young children and grandchildren, nieces and nephews will also go with us in the Rapture. God in His mercy will not let our little ones go through the terrible things that will happen on earth. Does that mean that God will take all the innocent children in the Rapture? No, I don’t think so. People who don’t look to Jesus for salvation, who are in rebellion, those people are putting their own children in harm’s way. But when they die, those innocents will go to Heaven because they hadn’t lived to an age of accountability. So, remember Lot’s wife! She couldn’t help her lost family members by dying. Keep your focus on Jesus! Be ready for His return—it could literally be any day now! God is good! Hebrew Roots Part Four – Whose Feasts? Many times when one of the feast days is mentioned: Pesach (Passover), Sukkot (Tabernacles), etc., the response of many Christians is to wonder aloud why we should celebrate a Jewish feast. However, a glance at the Bible reveals something interesting: God calls them feasts “unto the Lord” or “My feasts” (Exodus 10:9, 12:14, 13:6, 23:2 & 18; Leviticus 23:39 & 41; Numbers 29:12; and Deuteronomy 16:15). So if God calls them “My feasts,” then are they really a Jewish thing? I don’t think so. The feasts sound to me like a God thing. Jesus kept the feasts and the Sabbath. He just didn’t keep the Sabbath the way the Pharisees thought He should. Then the survivors from all the nations that have attacked Jerusalem will go up year after year to worship the King, the Lord Almighty, and to celebrate the Festival of Tabernacles, (Zechariah 14:16, emphasis mine). Furthermore, verses 17-19 describe the punishment for any nation that does not come to Jerusalem to celebrate the Feast of Tabernacles in the Millennium. In the absence of a clear directive from God to stop celebrating His feasts, and given that we will be expected to come to Jerusalem to celebrate the Feast of Tabernacles in the future, then it’s probably not only acceptable to celebrate the feast as gentile believers, but also a really good idea. I don’t think God will punish anyone who in ignorance fails to celebrate the feasts, but now that we know, we really ought to celebrate them. I have been celebrating the Feast of Tabernacles for the past four years now, and it has been the highlight of my year each time. It has been a time of great intimacy and personal blessings for me. 2011 – I was invited to come to the Feast of Tabernacles in Kalisz, Poland as part of the French worship team. I was really only there as an intercessor on my first trip with Operation Capitals of Europe, but I was hooked. The trip was originally supposed to be Berlin, Warsaw, and Prague, with a stop in Kalisz for Tabernacles. Berlin was canceled, but I had already bought my tickets. Since this was my first trip, I really didn’t know what to expect. So I didn’t know that stopping for a week in Kalisz was an unusual thing to do. 2012 – I returned to Tabernacles alone, and the church welcomed me. The day before my birthday I entered the worship room about nine in the morning because I was curious about the group called German Intercessors 2. I had no idea what to expect. The group consisted of the French drummer, the Polish keyboards player, and the German violinist. At ten, the worship room cleared out because the church coffee shop opens at ten. In fact, I was about to leave, too, but the girl at the keyboards began playing my very favorite song: The Revelation Song. So I stayed and sang it with all my heart. That alone is pretty amazing because I had suffered so much shame about my voice that for many years I wouldn’t even sing in church for fear of offending God because of my voice. When she got to the end of the first chorus, the keyboardist played an intermezzo, like when they are giving an altar call. She said, “If you know the words, please come up here.” I looked behind me to see who she was talking to, but I was the only person in the room. So without any good reason not to, I went up to the platform and sang into a microphone. Now, at ten, Russia was supposed to come do their worship set. But at this point it was after ten, and they still hadn’t shown up. So at the end of the song, the keyboardist started playing another intermezzo and riffing (singing random lyrics from her heart). When she started riffing, I joined in, and soon we were singing back and forth our love for God as if it were something that we had rehearsed. It was such a God moment! Then Russia showed up. After this incredible birthday present from God, I decided that I would bring Italian worship to Tabernacles, even if it was only me alone. So I went home and told Sally, my ministry partner, about the experience. Sally said that she wanted to go. Great! Now we have two intercessors without a musical bone in either of their bodies. But never mind, we are both worshipers, and that’s the really important thing. When I prayed about it, I got two faces in my mind’s eye: Salvatore and his son, Roberto. They are part of Pastor Fabio’s worship team. So once again, I went to Pastor Fabio and told him that I wanted to take an Italian worship team to Poland for the Feast of Tabernacles. This time his response was overwhelmingly positive. So I asked Salvatore and he said that he and Roberto would be happy to come for the whole week. Great! Now we have two non-musical intercessors a bassist and a drummer. I wasn’t sure what we would sound like to others, but at least we had some kind of music. Then Sally told Allegra about Tabernacles. 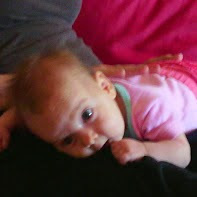 Allegra has since become a ministry partner, too. Her instant response was unbridled enthusiasm. And since Allegra sings and plays guitar, we now had actual music. 2013 – The Feast of Tabernacles in Kalisz had Italian worship for the very first time, and I sang backup for the group. It was wonderful. Then almost as soon as we got home from Poland, I got a phone call from Salvatore. He said that the rest of his worship team want to go to Tabernacles, but they won’t be needing me. I felt good about it. It was as if I had been the midwife, but now that the baby was walking, it certainly didn’t need the help of the midwife any longer. I asked the Lord, “What will I do for Tabernacles, then?” And as soon as that little prayer went through my head, the phone rang. It was Blady. He said, “I heard that you took an Italian group to Tabernacles. I was wondering if you would help me take an Albanian group. So Team Albania was born: me, Sally, and Allegra together with Blady and Phillippe. The only Albanian on Team Albania would be Blady. 2014 – Teams Italy and Albania were at Tabernacles, and although Italy had said that they didn’t need me, they actually did—as a translator. So I stayed very busy at Tabernacles. After Tabernacles, Team Albania scattered: Sally moved to Rome, Allegra moved back to the US, Blady moved back to Albania, and Phillippe is still in Milan, but I haven’t seen him in months. Team Italy told me that they want to come again for 2015, and also bring along Pastor Fabio. 2015 – As I write this, it is time to make plans for Tabernacles 2015. I had been feeling for several weeks that I wasn’t to go to Poland this year. Although I love the church and all my friends there, I wasn’t sad. Mostly, I was just wondering what God had in mind for Tabernacles this year. Then about two weeks ago I got a call from Pastor Fabio. He said that Italy would not be going to Tabernacles this year. That was confirmation for what I had already been feeling. So I asked the Lord what to do about Tabernacles this year, and a crazy thought came into my head: Why not go to Israel? I told Nina and Pastor Fabio, and they enthusiastically jumped on board for Israel. So this year, we will be going to Israel for the Feast of Tabernacles. And since that’s what we will be doing in the Millennium, I guess we’ll be getting a head start on things. God is good! What day of the week is the Sabbath? Most Christians will say Sunday, the first day of the week because that’s the day that they attend church. The Jews and Christians who study the Hebrew roots of our faith will say Friday sundown to Saturday sundown, the last day of the week. What does the Bible say? There is a lot in the Bible about the Sabbath, and it’s not all in the Old Testament. But is the Sabbath important to God? I believe that it is. The fourth Commandment is to keep the Sabbath day holy. Jesus boiled-down the Ten Commandments into two: Love God with all you heart, soul, mind, and strength; and love your neighbor as yourself (Matthew 22:37-40), so the fourth Commandment about the Sabbath is one of the “love God” commandments. Jesus said, “If you love Me, keep My Commandments,” (John 14:15, emphasis mine). Jesus never said that we should give up any of the Commandments. Do not think that I have come to abolish the Law or the Prophets; I have not come to abolish them but to fulfill them. For truly I tell you, until heaven and earth disappear, not the smallest letter, not the least stroke of a pen, will by any means disappear from the Law until everything is accomplished. Therefore anyone who sets aside one of the least of these commands and teaches others accordingly will be called least in the kingdom of heaven, but whoever practices and teaches these commands will be called great in the kingdom of heaven. For I tell you that unless your righteousness surpasses that of the Pharisees and the teachers of the law, you will certainly not enter the kingdom of heaven, (Matthew 5:17-20, emphasis mine). “Do not think that I have come to abolish the Law or the Prophets; I have not come to abolish them but to fulfill them.” If He didn’t abolish them in His coming, He also didn’t abolish them in His Resurrection. What Jesus opposed was the Pharisees who put the rabbinical teachings and traditions above God’s Laws. “For truly I tell you, until heaven and earth disappear, not the smallest letter, not the least stroke of a pen, will by any means disappear from the Law until everything is accomplished.” By everything, Jesus is not only talking about the enemy’s defeat at the cross, but also the restoration of all things, which signals the enemy’s final defeat. I think we can all agree that the world has not been restored to its former glory in creation, so everything has not yet been accomplished. “. . . but whoever practices and teaches these commands will be called great in the Kingdom of Heaven.” “Great” people in the Kingdom of Heaven will be given the great reward. That great reward? Spending time in God’s presence. God told Abraham: “I am your Shield, your very Great Reward,” (Genesis 15:1). God is the Reward! Therefore, not having time in God’s presence is the penalty. Maybe you don’t care about being in the Glorious Presence, but I do. Having been in His Presence and looked into the eyes of Jesus, I want as much face time with the Lord as I can get. “For I tell you that unless your righteousness surpasses that of the Pharisees and the teachers of the Law, you will certainly not enter the Kingdom of Heaven.” There’s the salvation issue. The Pharisees were all about the Law. They believed that in keeping the Law they could earn their way into Heaven. I wrote about the potential hazard of legalism in Hebrew Roots—Why Bother?, and how the Rabbis constructed a fence of rules around the Ten Commandments to protect them from being broken, and then constructed another fence of rules around that fence. In keeping all these manmade rules, the Pharisees actually sacrificed God’s Law (see Matthew 15:1-6). This is how we know that we love the children of God: by loving God and carrying out his commands. In fact, this is love for God: to keep His commands. And His commands are not burdensome, for everyone born of God overcomes the world. This is the victory that has overcome the world, even our faith, (1 John 5:2-4, emphasis mine). Loving God is keeping His commands. His commands are not burdensome, and keeping His commands will make us overcomers. How does it make us overcomers? Because in keeping His commands, we are exercising and growing our faith. And God has given us a Helper to help us keep His commands: the Holy Spirit (see John 14). So, keeping the Sabbath is not an issue for salvation, but it is very much an issue that affects your reward in Heaven. But does it matter whether you keep Saturday or Sunday as the Sabbath? I believe that it does. God didn’t change the Sabbath day, the early Catholic Church did. And they admit that they did it despite what the Bible says. Constantine made Sunday the “Lord’s Day,” and punished all who ceased to do work on Saturday—an anti-Semitic move. Until then, the early Christians kept the Sabbath on Saturday, as they always had. For a deeper study of the Sabbath and reasons for Christians to keep it, see Sabbath teaching. Really, this is not such a difficult thing. And it’s not something that we do out of fear of hellfire. This is something that springs out of our love for God. God is good!